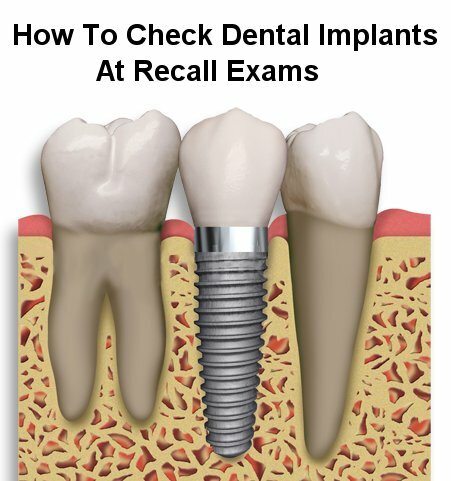 Because implants are essentially ankylosed to the bone, they have no movement and don’t shift around like natural teeth do. Nor do they have the spring of natural teeth afforded by the peridontal ligament. 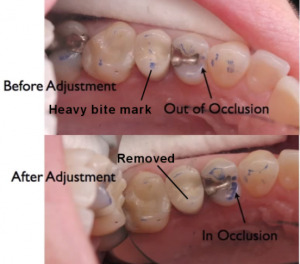 As you can imagine, shifting or attrition of adjacent teeth can create a situation in which a perfectly good implant/crown develops hyperocclusion. It’s uncertain if hyperocclusion alone will cause peri-implantits or bone loss, but there is strong evidence to suggest that occlusal trauma can exacerbate bone loss associated with peri-implant inflammation. The ideal way to check the occlusion on implant crowns is shimstock. Have the patient bite on the shimstock with the implant prosthesis and tug to gauge occlusal contact. Then do the same for the adjacent natural teeth. What you’re looking for is light contact on the implant crown (shimstocks tugs through without much resistance), and solid contact on the adjacent teeth (shimstock is stuck or tears). This indicates the forces are balanced and not concentrated on the implant. Articulating paper can be used as well, but depending on thickness can give inaccurate results. Use the thinnest marking paper possible (Accufilm is a good one). 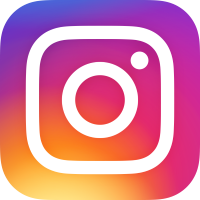 If you detect heavy occlusion on the implant and light on the adjacent teeth, you’ll want to mention it to the dentist, who might do some re-balancing of the occlusion to lighten the load on the implant. As with natural teeth, regular probing is essential to detect early stages of disease around implants. While 2-3mm typically indicates health in natural teeth, dental implants can have pockets as deep as 6mm and remain healthy. Of course a 6mm pocket is challenging to maintain for the patient and the hygienist, but in the absence of inflammation, even 6mm can be a stable situation long-term. 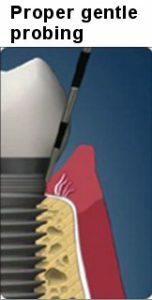 Remember when you’re probing an implant, there is no fiber connection between the gingiva and the implant like there is with natural teeth. 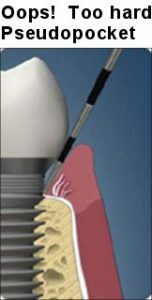 The hemidesmosome attachment at the junctional epithelium isn’t as strong as the fiber attachment of natural teeth, so you have to careful and gentle when you’re probing that you don’t break through the attachment. It’s not a catastrophe if you do (it will likely heal), but you risk introducing pathogens and it will mislead you into thinking the pockets are deeper than they actually are. Swelling, redness, bleeding, and pus. 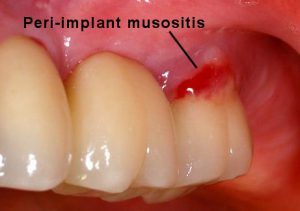 These are the signs of peri-implant mucositis, which can lead to peri-implantitis. The difference is like comparing gingivitis to periodontitis. Mucositis is restricted to soft tissue, peri-implantitis is when it affects and destroys the surrounding bone. Diagnosing and treating mucositis early is critical to preventing bone destruction which can spiral out of control and need surgery to stabilize or (if possible) reverse. We’re all familiar with the signs – evaluate plaque/calculus levels and associated redness, swelling, and bleeding on probing. It’s a good idea to press on the gingiva around the implant to see if any pus expresses from the sulcus. You’d be surprised how an implant with minor local inflammation can actually have some pus down in the pocket! Alert the dentist to any of these signs and of course gear your patient’s OHI accordingly. Dental implants are still a great way to replace teeth, but mounting evidence suggests a significant proportion will experience inflammatory problems in the long-term. Diligent evaluation of implant status is critical to maintaining implant health and intercepting problems early on. Thanks for reading! 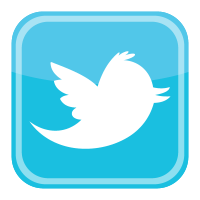 Please Like or Share with anyone you think might benefit from this article. And don’t forget, as Canada’s premium dental hygiene temp service, we’re always welcoming new dental offices and looking for good hygienists. Learn about TempStars and sign up for free here.